Have You Ever Seen a Pumpkin with Aqua Blue Eyes? 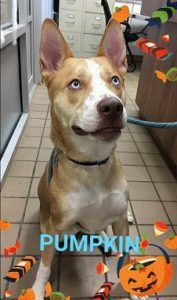 Handsome PUMPKIN is our happy Husky mix from #BrookhavenTownShelter. PUMPKIN is just about a year old. Since he’s a big puppy, he can get too enthusiastic about playtime with peeps or other dogs. He needs structure and training so he learns proper pup etiquette as he matures into the majestic dog we know PUMPKIN can be. PUMPKIN is an eager student. 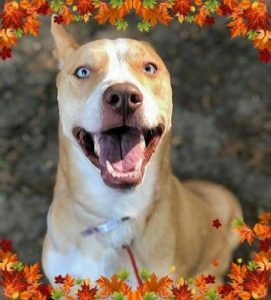 This entry was posted in 6 to 12 Months, Dog Center, Dogs, Male. Bookmark the permalink.